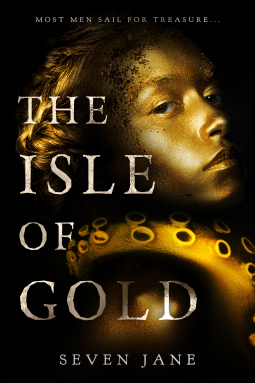 The Isle of Gold was an interesting read--one about which I am still pondering as I pen this review. There was a lot to like about it, with pirates and adventure blending with fantasy and mythology. I appreciated the character of Merrin. However, I struggled to feel the connection between her and Tom, which seemed purely physical lust rather than love. To me, the person of greatest interest was Captain Winters, and I would have enjoyed the opportunity to get to know him a little more. I liked the way the story morphed from historical to fantasy, but I thought the pacing could have done with a little work. It was a somewhat plodding beginning, followed by a sudden rush of mad activity towards the end. In conclusion, this was an intriguing story with a lot of good points, but one which missed the mark here and there. I would recommend it to those who enjoy pirate stories with a touch of fantasy (along the lines of Pirates of the Caribbean), and overall I give it 3.5 stars, pushing to 4.